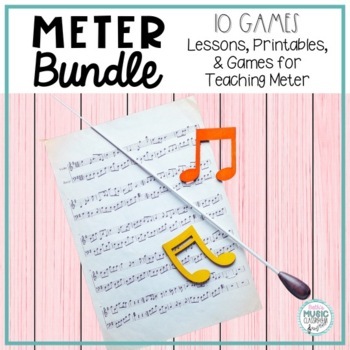 This METER BUNDLE contains 9 different activities for teaching time signatures to your elementary students. For specific information click on each of the items above individually. 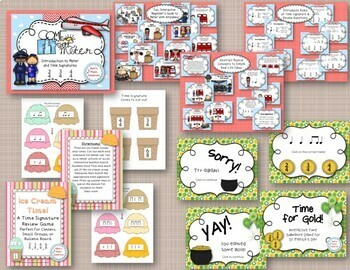 See the links and information about to see each individual item included in this bundle. *Some of these products are in PowerPoint 2010. Please make sure that are able to open this kind of document before purchasing. It is a read-only file, making it unable to be edited. A password is not needed, and it can be saved to your computer by copying & pasting or dragging it from your Downloads folder. Pop Song BUNDLE! 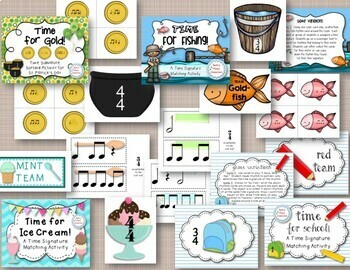 Orff & Folk Dance for BRAVE/FIGHT SONG! 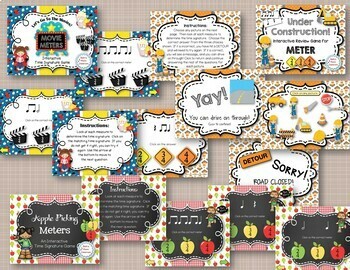 Melodic Direction: Step, Skip, Leap, & Repeat - BUNDLE!